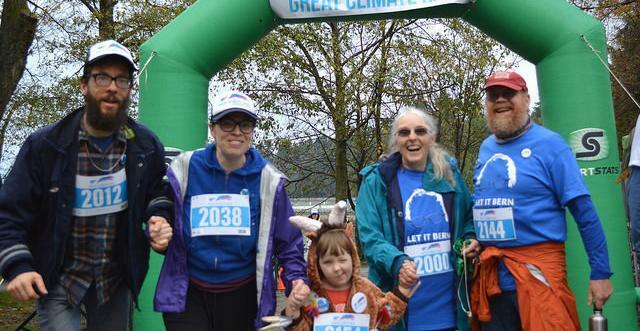 In Vancouver, British Columbia, a fun running and walking race tackles climate change. The event produces no waste and is powered by solar energy and bikes, while participants raise money for renewable energy projects. 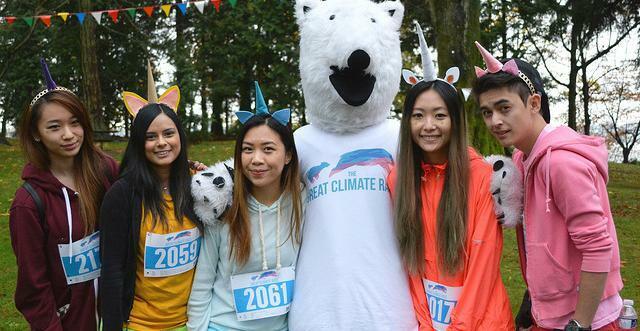 On a Sunday morning in October, The Great Climate Race is expected to attract thousands of people to the scenic Stanley Park Seawall in Vancouver, British Columbia. Running or walking, participants at the zero waste, off-grid event will raise money for renewable energy projects. People located around the world can join in too, running wherever they are, tracking their time, and sharing their results online. 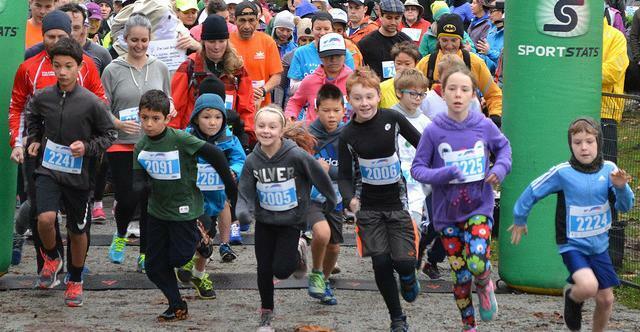 Inspiration struck after West competed in his first ever race, the Vancouver Eastside 10K. “I had this weird experience where in the first kilometre of the race, I saw people holding signs,” West says. Given his background, West assumed the people with handmade placards were protesting the race. In reality, the support crew at the side of the road was there to energize West and other runners, offering high fives and cheers. The exhilarating atmosphere got West thinking, about the potential for a running event tackling climate change. While climate change affects everyone, it can be daunting to know where to start in addressing the issue. A race could offer myriad opportunities, West thought, as likeminded people united around a common cause, met other supporters, had fun, and did something meaningful in their community. “My girlfriend and I got to talking about it that night, and one thing led to another, to another,” West says. The couple looked for an existing climate change run they could participate in, but found no event existed. They started exploring what it would look like to start their own. “Next thing you know, we had a website and were building a team,” West says. With that, West and his partner, Mari McMillan, co-founded The Great Climate Race, consisting of a 10 kilometre and 2.5 kilometre run/walk. The family-friendly event is billed as a “the most fun you’ve ever had changing the world,” and features costumes, theatrics, art, and technology displays. The inaugural event, November 8, 2015, saw more than 1,000 participants fundraise $40,000 for local renewable energy projects. A virtual race also exists, in which people run wherever they are and share their results online. Last year, about 300 people participated, from locales around the world including France, Belgium, Australia and Japan. While the specific renewable energy projects the race will support have not yet officially been announced, West says he is talking with not-for-profit organizations, First Nations communities, municipalities, and others about potential projects. “The idea is to help these organizations reduce their costs for many years into the future, by getting power from solar instead of on the grid,” he says. The second annual Great Climate Race will take place Sunday, October 30, 2016. 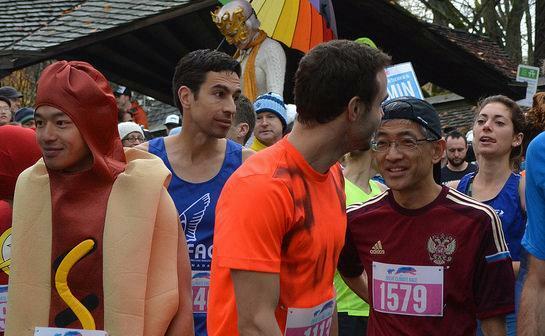 This year, organizers are aggressively expanding the virtual race. An app to make participation even simpler is in the early stages of development, West says. In addition to raising money for renewable energy projects, the event addresses climate change in every way it can: it’s an off-grid, zero waste event. Solar panels, bikes and batteries were cobbled together to power a stage, big screen TV, and provide electricity to various tents at last year’s event. This time, a clean, mobile power station from Vancouver-based company Portable Electric will power the event. There are no disposable cups of water for runners along the route; people can bring their own water, or use a reusable cup at a water station. 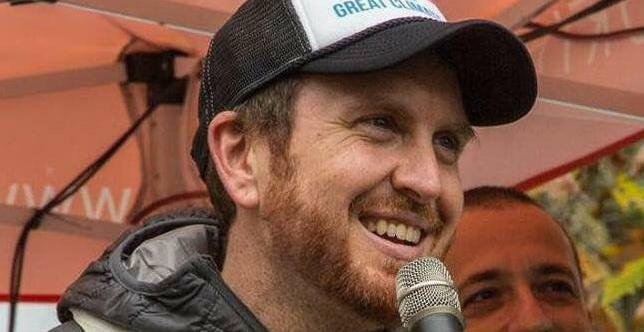 “Last year we sent out a fair amount of communication about that, and I was pleasantly surprised of how supportive runners were of that idea,” West says. 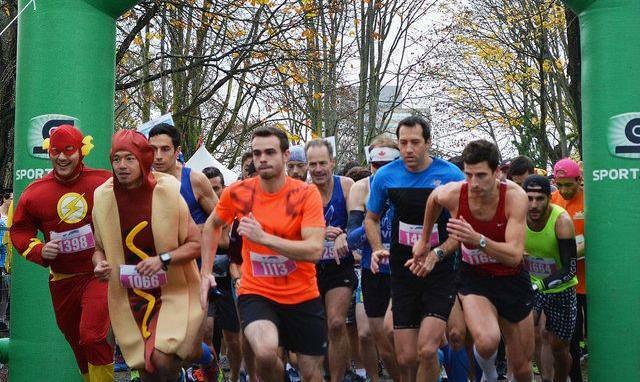 With the 2016 race falling so close to Halloween, West expects many runners and walkers to don costumes. Participants will follow the same route as last year, which will feature various entertainment along the way. People can also expect hugs and high fives from Solar Bear, a polar bear mascot, at the finish line. And, once again, volunteers with handmade signs will line the race route, offering runners and walkers the same encouragement West was so elated to receive in his first race. “I want it to be a heck of a lot of fun,” West says of The Great Climate Race.